Newly remodeled kitchen March 2016!!! 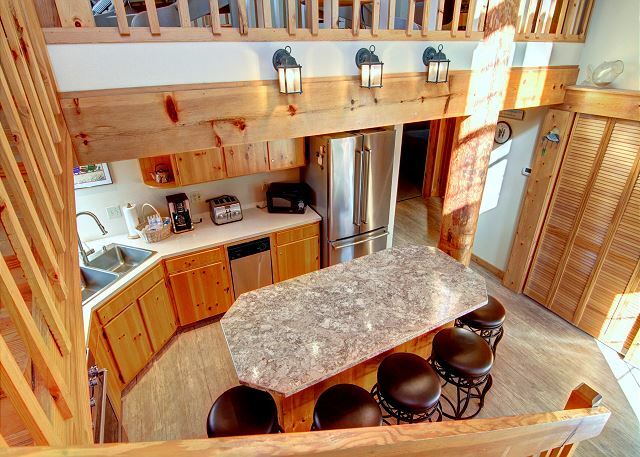 Brand new stainless steel stove, refrigerator, and a sit in kitchen island with enough seats to pull up around the bar for meals. Brand new flooring on the main level and brand new washer and dryer. "Thistle Dew" is the perfect getaway to relax and enjoy your vacation at the beach. 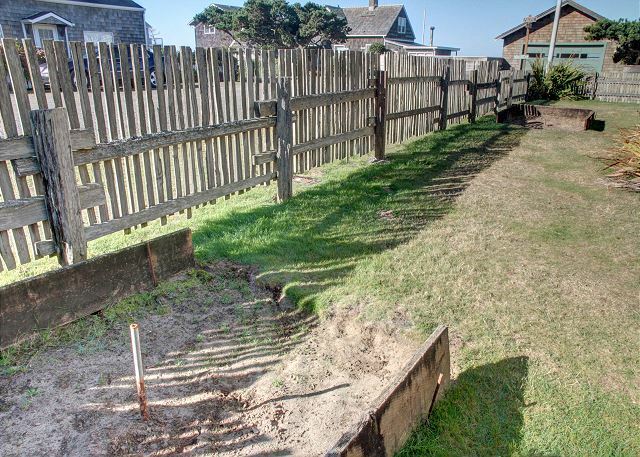 A large backyard with horse shoe game, dog outdoor kennel and very close to the sand, make Thistle Dew a great choice for the entire family. 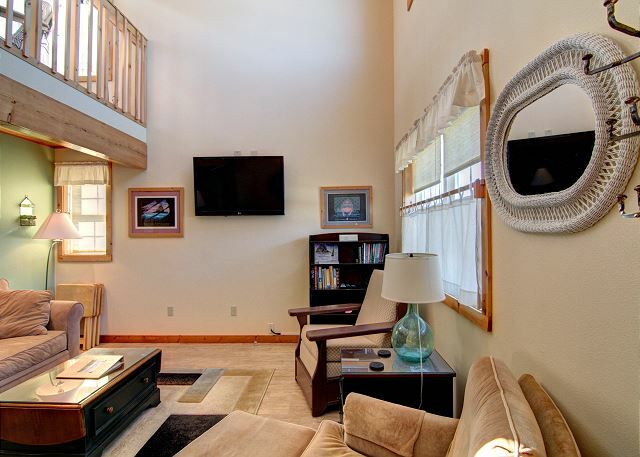 Lower level includes a fully equipped kitchen, living room area with a flat panel large TV and two bedrooms. 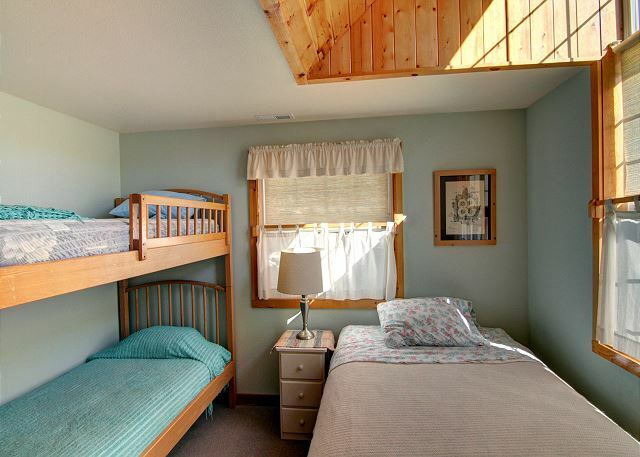 The first bedroom with a queen bed and the other bedroom with two twin beds. A full bathroom is located on this level as well. 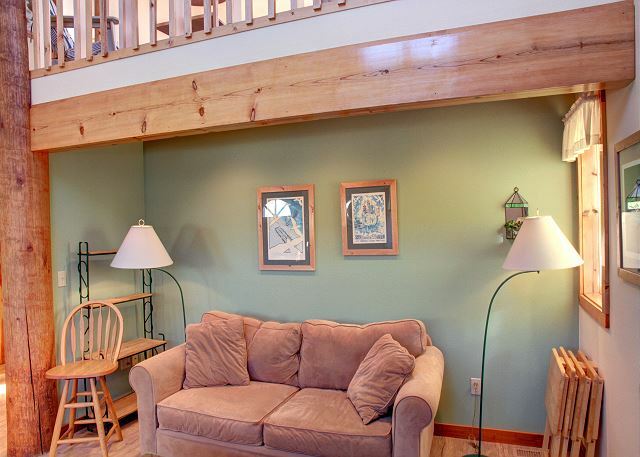 Upstairs you will find a large loft area for relaxing with a good book. 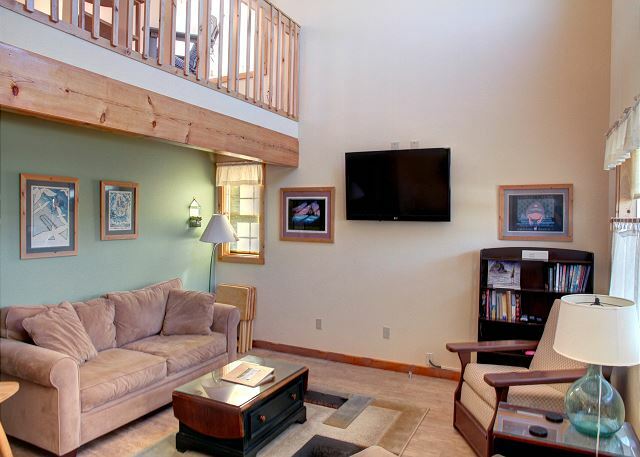 On the upper level you will find two more bedrooms and a full bath. 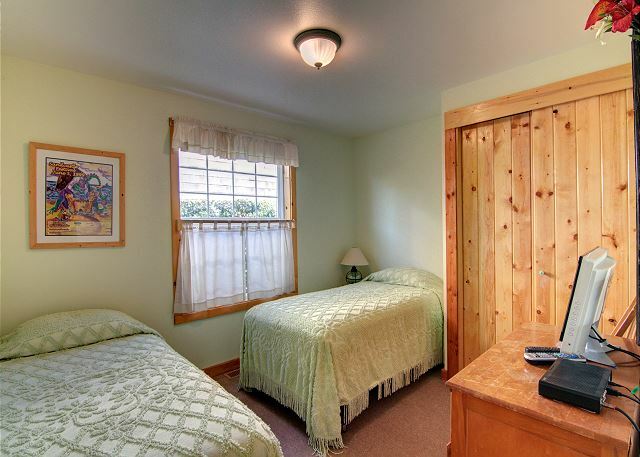 One bedroom with a queen bed and the other a double bed and twin bunk set.Outside in the large sunny back yard is a charcoal BBQ, horse shoes, and outside chairs to complete your visit to Cannon Beach. Accommodates 10 maximum; pet-friendly; no smoking; parking for 4 vehicles. 7 night minimum stay during the summer months with a Friday arrival date. "Tolovana Park is a great little neighborhood!" "Our family of 8 stayed comfortably in this home. It was very clean, enough sleeping quarters, good access to the beach, Warren House, and the grocery stores. " Thank you so much for staying with us, we hope to see you back soon! "Simply put.... It's Cannon Beach!!" We think it is pretty special too! Come back soon. 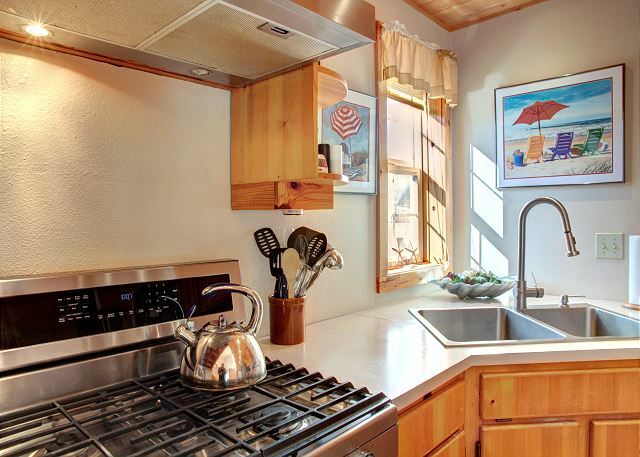 "Close to the beach and a very nice rental." Thank you for staying with us Michael, come back soon to visit. 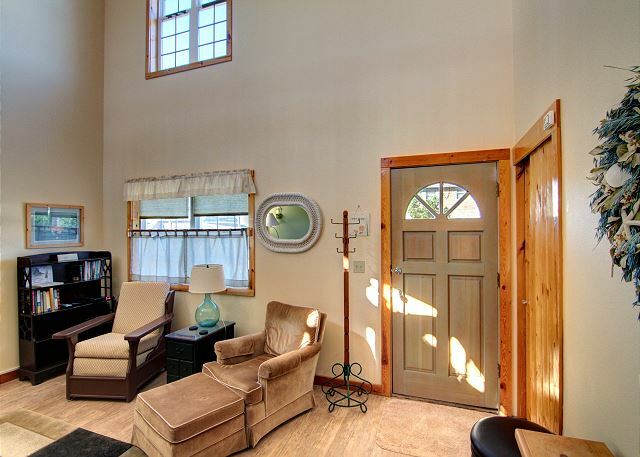 "The house has a wonderful yard and is well equipped with beach chairs and some other items. We love the location! We have stayed here for 4 or 5 years and have already booked next year also. We really like this house." "Great house and location. Helpful staff at the rental office." "Nice little back yard - bring a Bocce Ball game"
Thank you for staying with us on your vacation. I am happy to hear you enjoyed everything, come back soon! "The Sandcastle Festival! We have come to Cannon Beach for 12 years now, but this was the first time we came during the festival. It was very appropriate to have Sandcastle posters everywhere in the house!" "Wonderful home, perfect size, perfect price for us. Not too fancy, everything we needed was right there. 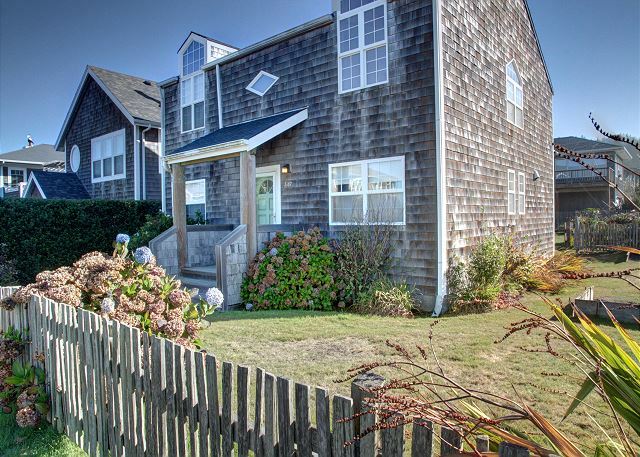 Perfect walking distance to the beach, coffee, groceries, and our favorite pub, the Warren House Pub. Very comfortable beds, nice kitchen. What more could you ask for?" MaryAnn, thank you for the kind words. It is so nice to hear you enjoyed your stay. We look forward to your return next year. "We loved location to the beach. " "The yard is not fully fenced in, thus if you are bringing a dog with you know that you can't just let them outside to roam freely. Also the volume of rabbits in the area does make a dog challenging as they will be likely interested in the big-eared furry friends in the yard as well as try to eat all of the droppings. It wasn't impossible but the advertisement did say "fenced yard", a bit misleading. Didn't distract from a fabulous trip and a beautiful place to stay." CBPM was happy to hear you enjoyed your stay at Thistle Dew. We will make the changes if our website states fenced in yard. 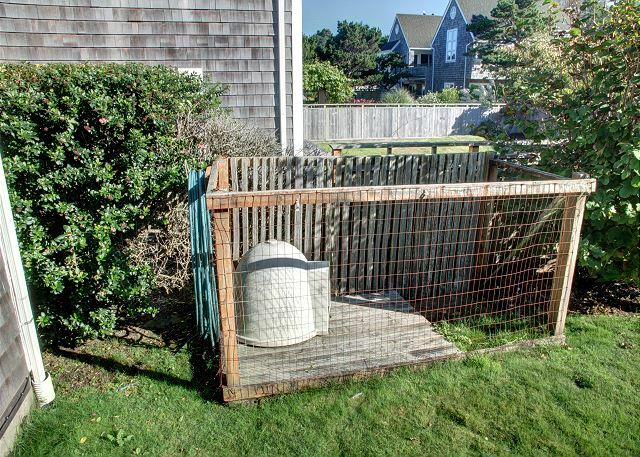 This property does have a fenced in dog area though. Sorry the bunnies in Cannon Beach caused your dog problems. You have to admit their cuteness, makes up for it. "The house felt comfortable from the moment we arrived. We really needed a break and your rental home was definitely a big part of helping our family relax and reconnect." "Even though it was winter, we would have loved more outdoor chairs and the kitchen was not well stocked, spices, tinfoil, etc. A lot of locked cupboards in the kitchen and everything we needed was very low to get into. 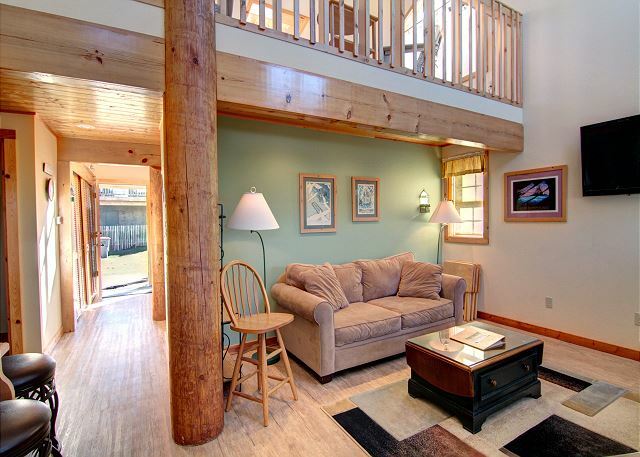 Loved the location to the beach, very comfortable for 6 people." "We enjoyed our weekend stay with three families. 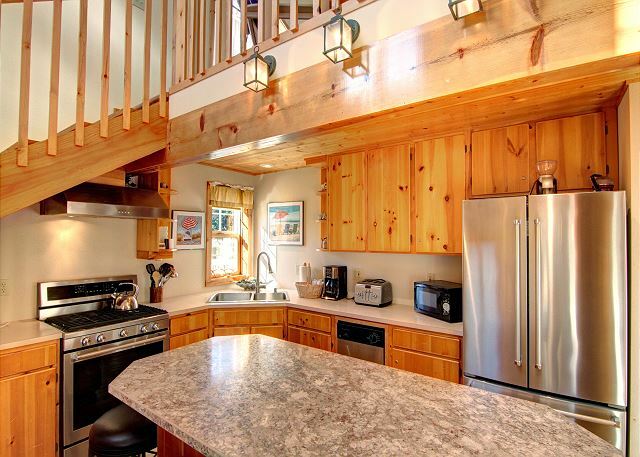 The home was great for cooking and gathering around the large kitchen island for meals. The outdoor yard space was great for our dog and for our toddler to run around. We enjoyed the fire pit as well. The beach is a very short block away, which allowed us to come and go to the beach often. 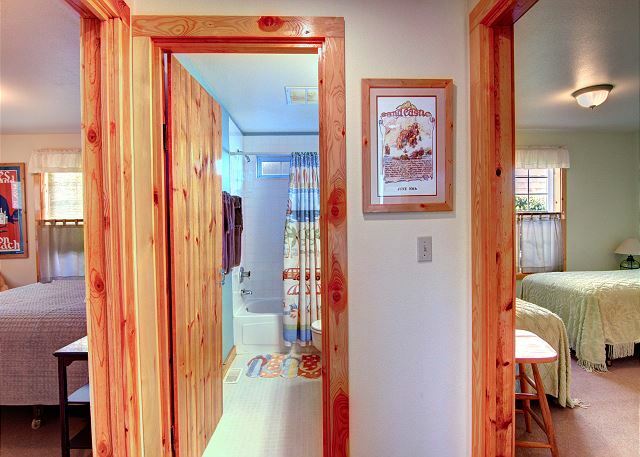 The only down side was the lack of basic kitchen seasonings for cooking meals and all the doors to the bathrooms and bedrooms are very cabin like. The doors don't actually latch shut but stay closed by placing a door stopper (which is provided, the bathrooms do have lovks). We will be back for sure! 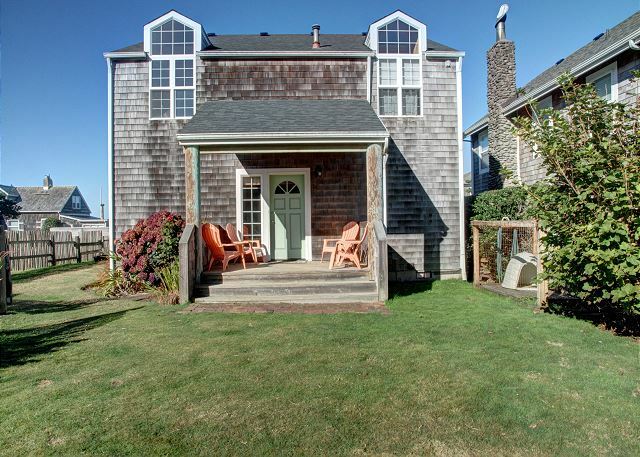 Might even be our new annual Cannon Beach rental house. " 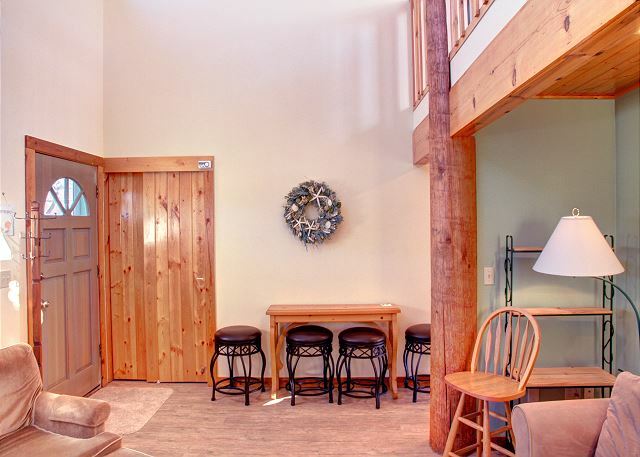 "Great vacation rental property. Wonderful location, close to the beach. Yard/garden area is very nice, and spacious. Nice new outdoor picnic table, new BBQ grill. Love the fire pit. 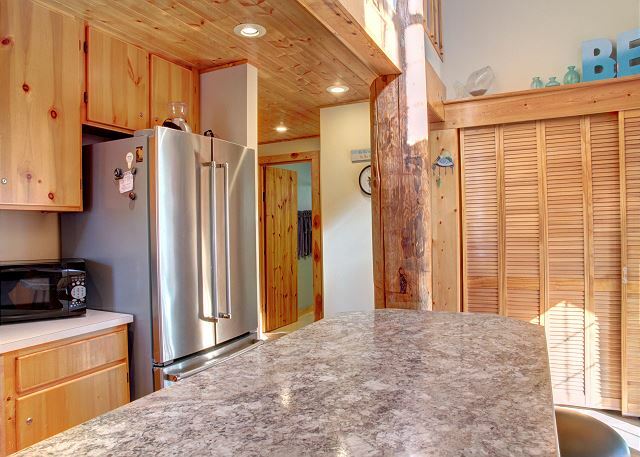 Kitchen has updated appliances that are very nice and upscale. 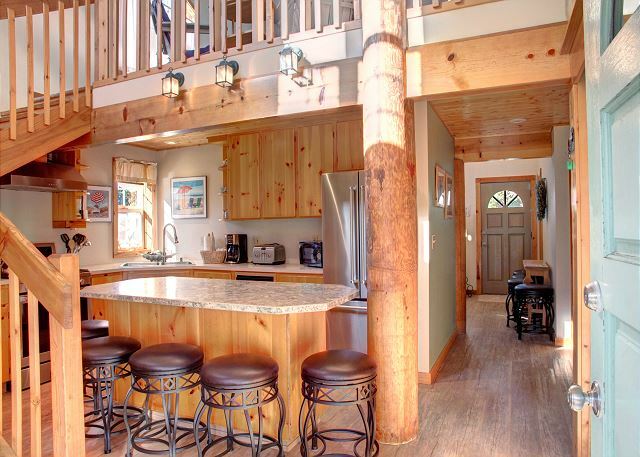 The rest of the house is "beachy", not fancy or upscale. Which is perfect for us. There is more outdoor living space than indoor. Indoor the kitchen is pretty tight with limited seating. but it works. Plenty of counter space and prep space. Living room is big enough. No indoor dining table, or much room for seated dining, indoors. 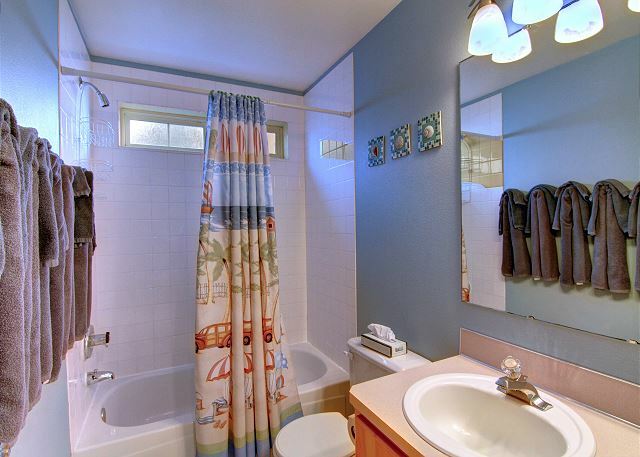 Bathrooms need a bit of updating, but are in pretty good shape, not terrible. Beds could also use a bit of updating. 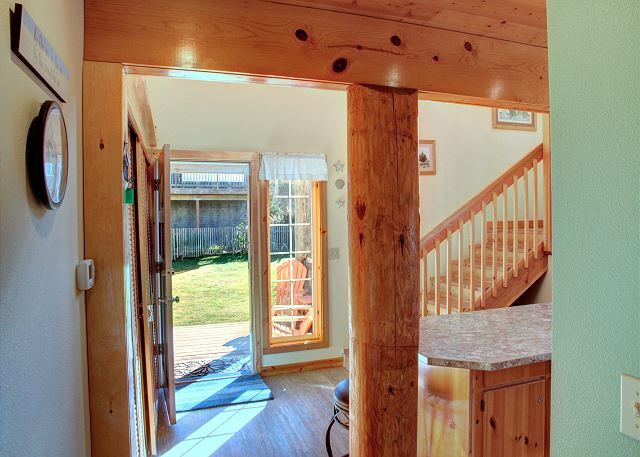 Overall, great property!" 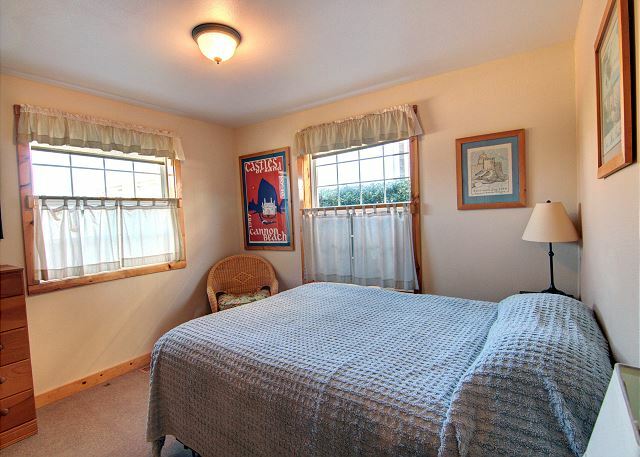 "We thoroughly enjoyed our stay in this comfortable house. We had everything we needed/wanted, including beautiful views and sounds of the ocean. We can't wait for our next visit." "We reserve the Thistle Dew as a family retreat every year. Our adult kids meet us there with friends. 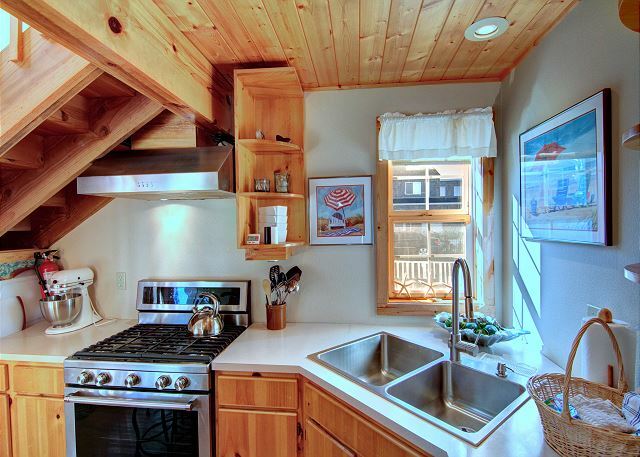 The recently renovated kitchen is lovely. 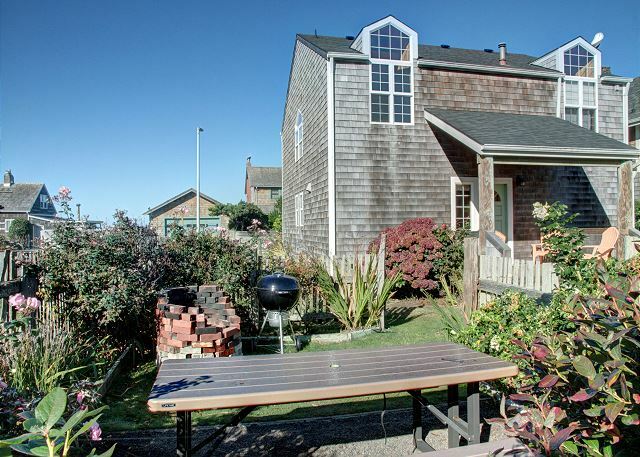 The backyard is great for barbecues and book reading while you take a break from the beach walk. It's really our favorite spot on the planet. " 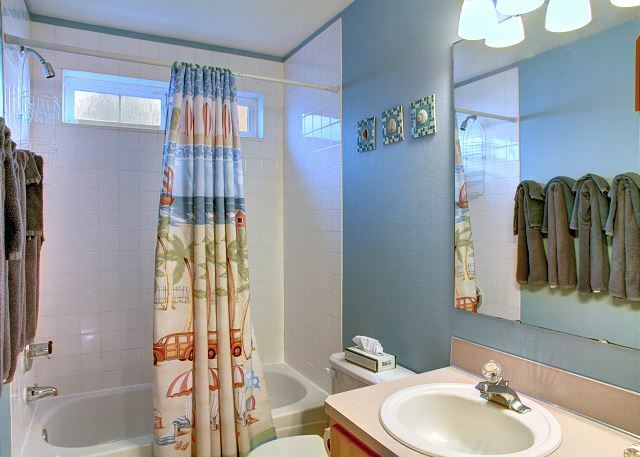 "Super clean and comfortable house, excellent location. 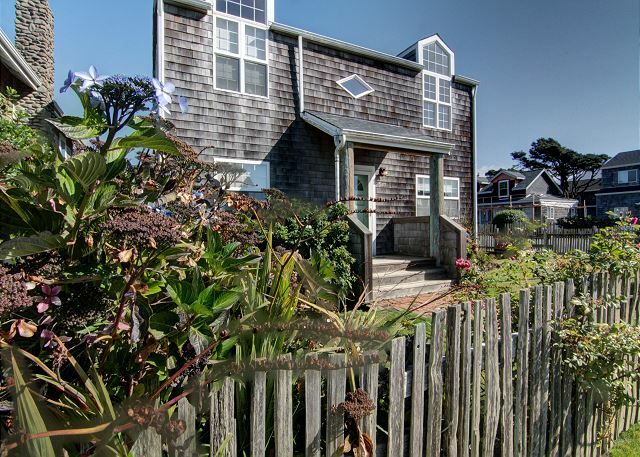 Steps from the beach, quick walk to a great coffee shop. We will be back! " "We rented Thistle Dew for our family vacation. Loved the house, it's character and location." "Our family stayed here Christmas 2015. 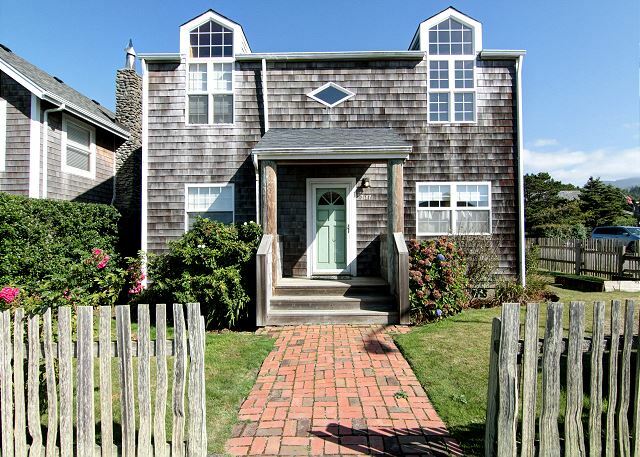 Really a beautiful rental in a quiet neighborhood with great beach access. The kitchen was extremely well-supplied with pots, pans, etc. it was an ideal place for a restful family vacation. The property management people were friendly and very easy to work with." 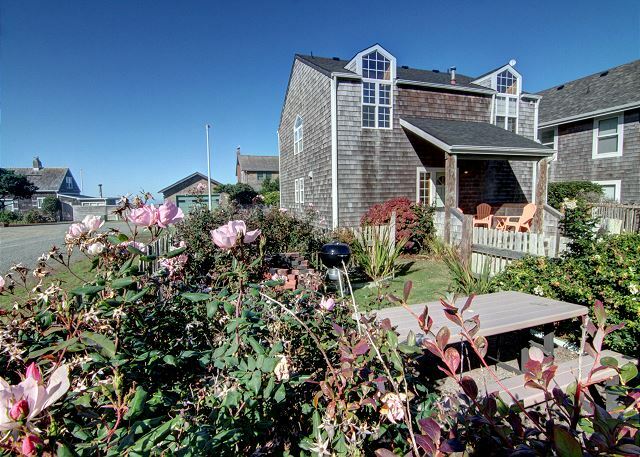 "This was our first time renting a beach home. We had six ladies in the house with plenty of room to spare! We loved the bunnies, outdoor seating, having a kitchen as well as two bathrooms. The only thing we missed was a dining table we could all sit at together. " "we had a wonderful time and so enjoyed the location of Thistle Dew. our children, as we did, fell in love with the bunnies. Only thing missing is a table for games and dinners together, the one outside is good but not for every meal." "Great home, great location, adiquetly supplied." "Our family reunion at Thistle Dew was a vacation dream come true. Every thing was perfect. The home and the property was even better than the pictures presented. The staff was so welcoming and we will definitely be returning. " "We had a young cousin and grandma with Arthritis. 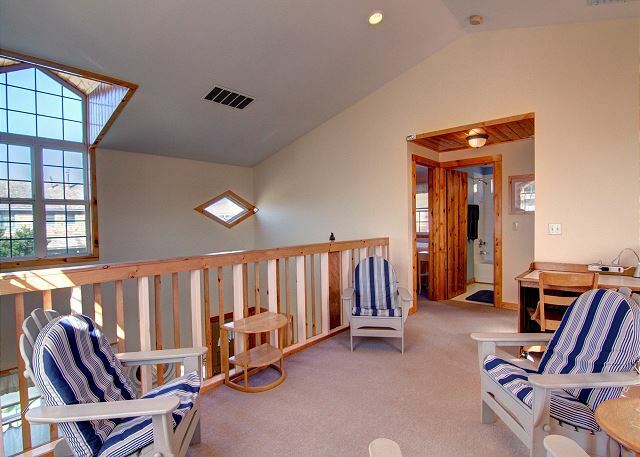 This house accomodate both with bedrooms downstairs and the nearby beach access. The only downside was the yard is not fully fenced in to leave dogs outside. The abundance of Bunnies made it not safe to leave a dog unchained to roam the yard. So, bring a long leash if you bring your dog." 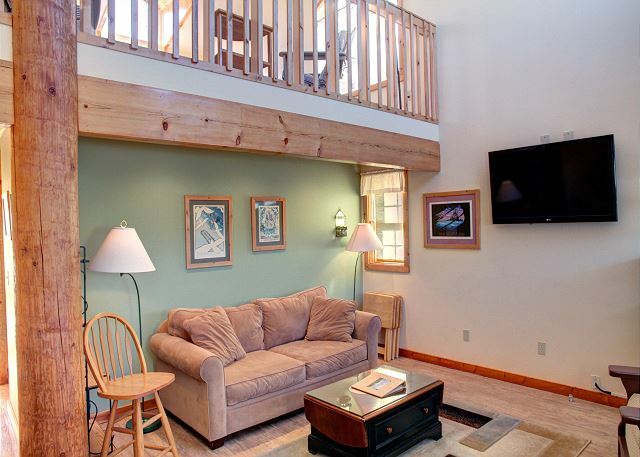 "We had a great time at Thistle Dew, the rooms were comfortable and seating area for T.V. in the evening was good. The kitchen was a little small, but still worked out. The bedroom doors would have been nice to actually close/stay closed and it would have been nice if the dryer would have heated-hopefully the owners got that fixed. But we all had fun on the beach and enjoying each others company." 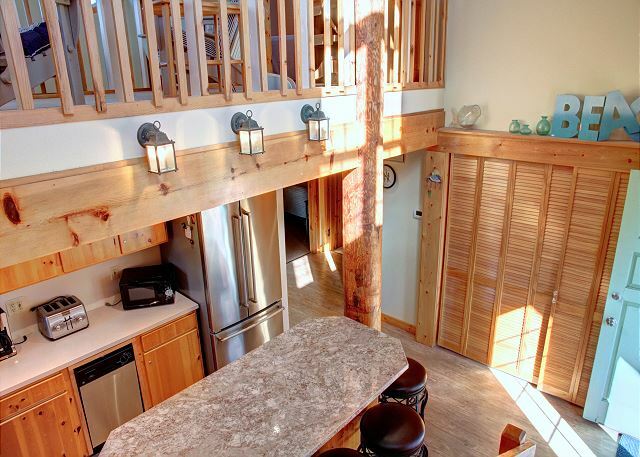 "This was a wonderful beach home that comfortably slept 9 of us. 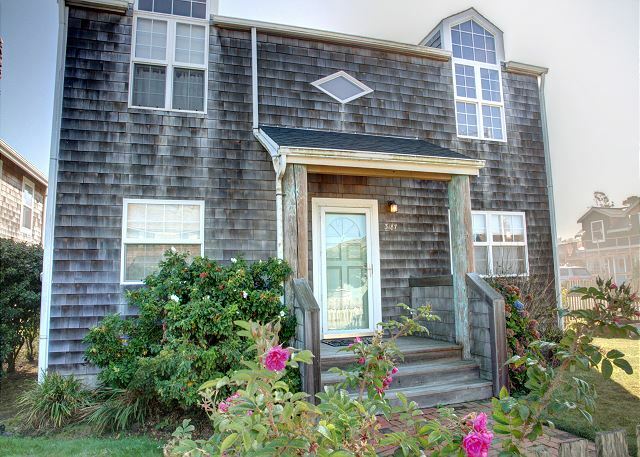 Great location very close to the beach with ocean views from the top floor. Loved that it was dog friendly too. We all had a fantastic weekend! " "After a seven year hiatus we returned to Cannon Beach and couldn't have had a sweeter spot than Thistle Dew to reminisce and re-visit all our old favorite haunts. The house had everything we needed and comfortably slept 3 adults and 5 kids. When not at the beach (steps away) or in town getting ice cream we enjoyed playing badminton, horseshoes and - the kids' favorite - playing with the bunnies that reside under the shed and were always out munching on the lawn. Thank you, CBPM, for always exceeding our expectations as a rental company. Everything was perfect." 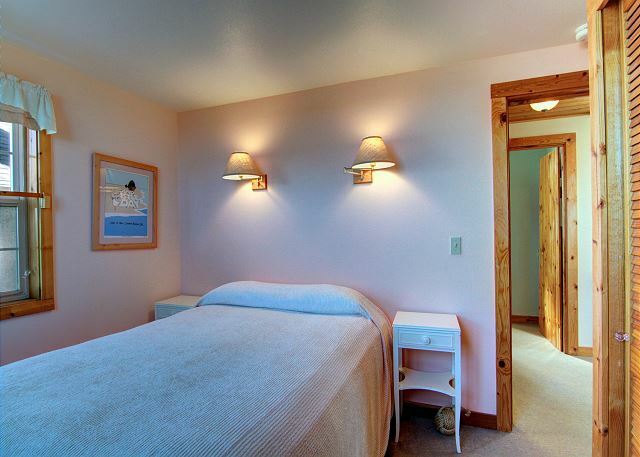 "This was our first time staying at Cannon Beach and what better way than to spend it in a vacation home. There were 10 of us nestled here and it was a fantastic 4th of July weekend. Will be coming back in the future for sure! " "Thistle Dew really exceeded our expectations. My husband and I stayed there for a week in July, brought our small dog and we all loved it. The house was well stocked with everything you'd need in the kitchens and bathrooms. 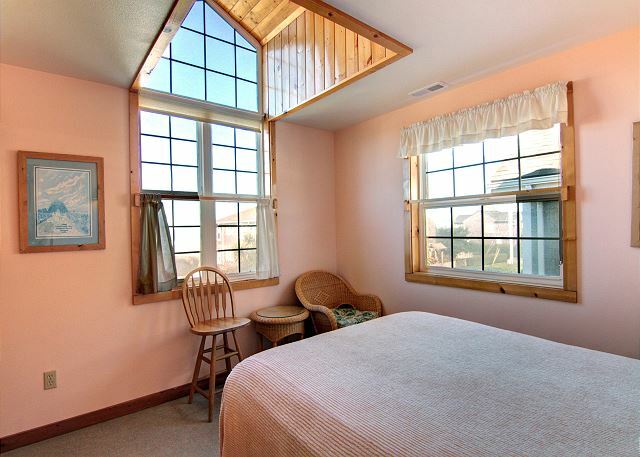 The bed in the master bedroom was the most comfortable I have ever been in and the proximity to the beach was great. We plan on returning!" "Our stay was stellar in all respects. If I had a suggestion I might add that the lawn could use a mow job, but the place was great and we will return for sure next year." "The property management was very friendly and so laid back. They made exceptions for us which allowed us to make our trip to the beach happen. I will use this company in the future and would recommend it to anyone. I really appreciated that they didn't make us jump through a bunch of hoops to rent the house. " "The whole family came together from distant places to enjoy a long weekend at Cannon Beach. 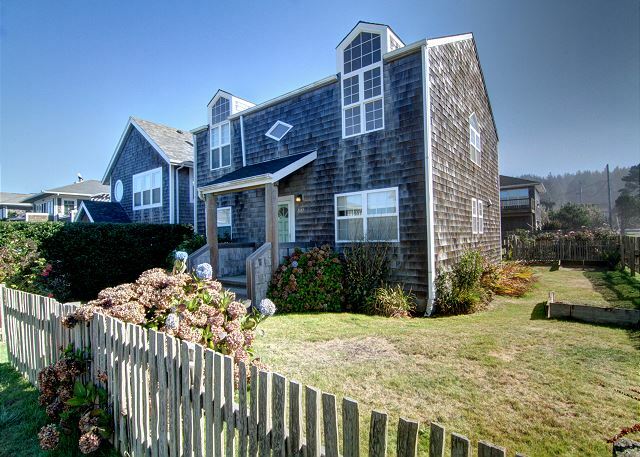 On the Cannon Beach Property Management website, the Thistle Dew looked ideal for the ten of us. I called and spoke with Trish at CBPM. Fabulous helper. Trish transacted everything perfectly and thoroughly and alway. confirmed everything via email. When we arrived for check in, Linda was on staff to greet us. Delightful person, shared in our eagerness for the nice long weekend of being together, and even helped me find the key to open the shed at Thistle Dew to get the horseshoes out for a nice tourny. I recommend CBPM and the Thistle Dew wholeheartedly (and I'm a fussy guy)!" 2. 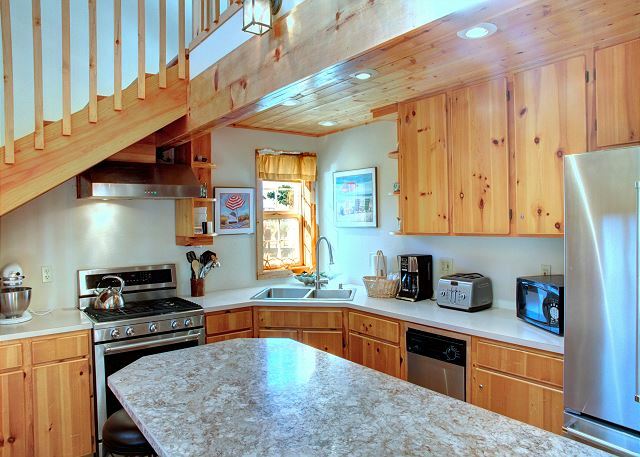 4 Br but only dining seating for 4 was a problem for us"
"Great cute little cottage, great location, close to beach. Had a lot of bed rooms. Only complaint would be that there was no dining room, and only enough counter space for 4 people. " "Fabulous home with an amazing yard and beautiful gardens. The yard is a perfect place to sit and relax when not at the beach. 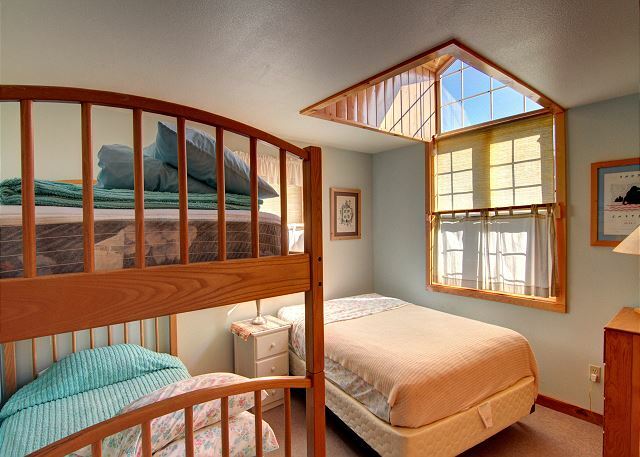 The home is very comfortable and well appointed for a perfect vacation. "